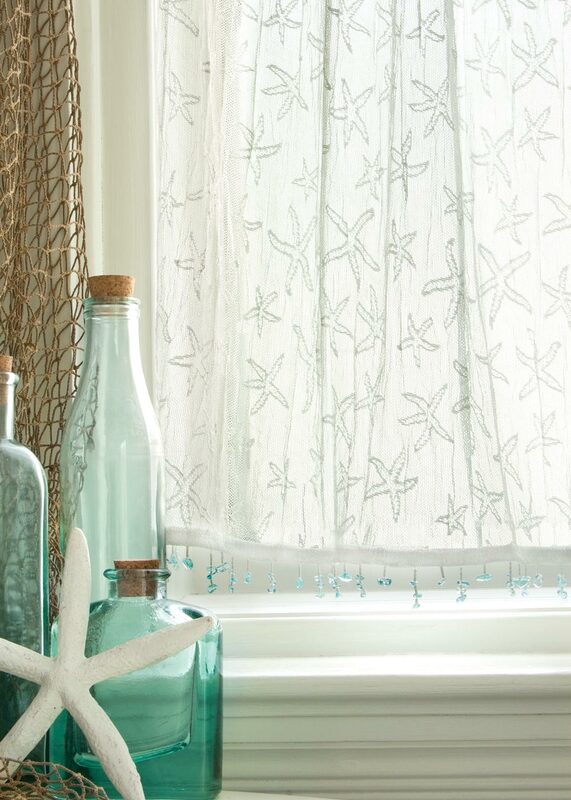 Beautiful White Starfish Lace Curtains with Aqua Bead Trim along the bottom. Available in Valances, Curtains and Tiers. These Curtains are proudly made in America. Need a special size, just let us know. Most likely we can accommodate you. 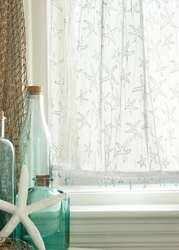 We also carry a similar style Lace Curtain with real Seashell trim along the bottom.